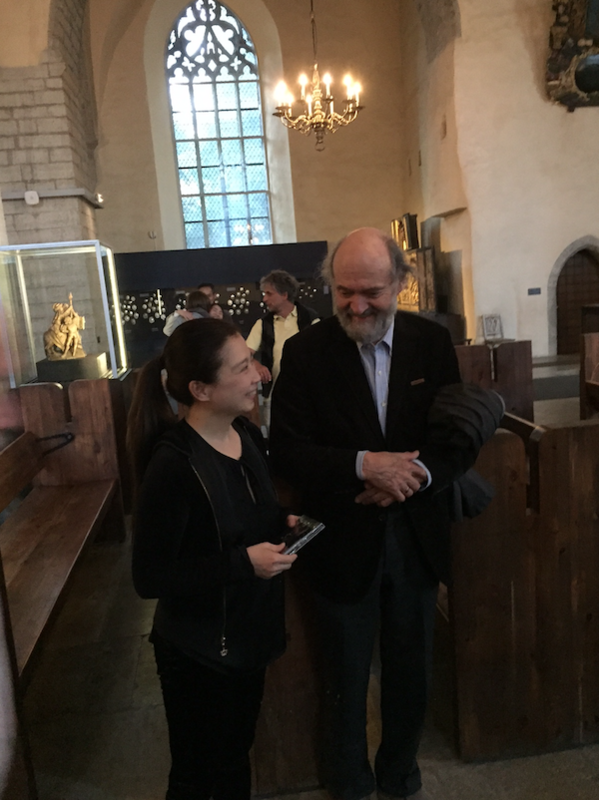 It was smiling faces all round when Arvo Pärt came to hear KUNIKO play her arrangement of Fratres in Tallinn last week. KUNIKO performed at Niguliste Church, Tallinn, which provided a beautiful acoustic for her arrangement for marimba and vibraphone. The work was included on her 2013 album Cantus, along with three more of the composer's best-loved pieces. Each arrangement was approved by Arvo Pärt, who consequently became a fan of the talented percussionist.